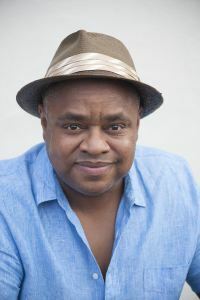 Rodney is the Director of Manufacturing for Flowers Baking Company of New Orleans, which is known nationwide for brands such as Bunny Bread and Nature’s Own. The New Orleans native has been a master baker for the past 25 years, equivalent to his tenure at Flowers Foods. In addition to Friends of Bayou St. John, Rodney has also served on the board of directors for Faubourg Saint John Neighborhood Association. He continues to volunteer his recipes with many local nonprofits and social causes throughout the city. 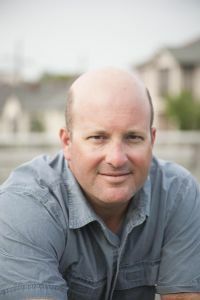 Geoff Coats is the CEO and Creative Director of Line 58 Branding & Web Design, a nationally sought after brand strategy studio working with visionary small businesses on inspiring projects. Whether start-up or established venture, Geoff brings an entrepreneurial sensibility to every project. Beyond his work with Line 58, Geoff has assisted in the launch of a successful restaurant, served as the start-up executive director of a nonprofit working to leverage market forces to revitalize a blighted urban neighborhood, and co-founded The Urban Conservancy, a nonprofit organization serving the community of New Orleans where he conceptualized and launched Stay Local! in 2003 to help support locally owned and operated businesses in Louisiana. Geoff has 20 years of public speaking experience, training in both small and large group communication, 10 years experience working with large and small groups in educational settings, and has delivered talks at scholarly and professional conferences nationally. Geoff holds a B.S. in Communications and Media Theory from James Madison University, an M.A. in History from James Madison University and an M.A. in African History from Indiana University, Bloomington, and is a graduate of the Goldman Sachs 10,000 Small Businesses program. Geoff lives with his wife Karley and son Miro in the Bayou St. John neighborhood. 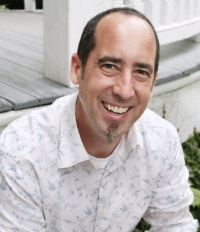 Jason Hemel has worked in nonprofit healthcare for over 15 years. Hemel received a BS in Finance from the University of New Orleans (UNO) in 1999 and an MBA from UNO in 2000. Hemel spent the early portion of his career as a financial analyst at UNO and as a finance officer for two nonprofit nursing facilities. Representing the bulk of his career, Hemel has been with the St. Margaret’s organization for the past 10 years—the first five were as the Chief Operating Officer. Following Hurricane Katrina and the destruction of most of the St. Margaret’s facilities, Hemel moved into a development role with the organization, working on successful projects at the former Bywater Hospital in New Orleans and the St. Luke’s Medical Center in Algiers. Hemel represents the St. Margaret’s organization on the redevelopment of the former Lindy Boggs / Mercy Medical Center in New Orleans’ Mid-City neighborhood. This exciting project is investing $100-million to redevelop the flooded campus into a state of the art nursing facility, acute care hospital, and medical office complex. Hemel is also on the Board of ASII, the nonprofit arm of ASI credit union. Recently, Hemel founded Peristyle Residences, providing non-institutionalized assisted living homes in the New Orleans, LA and Hattiesburg, MS areas. Ian McNulty covers food culture and dining as a staff writer for the New Orleans Advocate, the city’s daily newspaper. His radio commentary “Where Y’Eat” airs weekly on local NPR affiliate WWNO. He is the author of “Louisiana Rambles: Exploring America’s Cajun and Creole Heartland,” a travel narrative about south Louisiana culture. The book was named one of the top travel books for 2011 by the Society of American Travel Writers. His first book, “A Season of Night: New Orleans Life After Katrina,” is an account of the tenuous first months in New Orleans after Hurricane Katrina. Ian is a graduate of Rutgers University. He began his writing career at a community newspaper in Rhode Island in 1997 and received recognition from the state legislature for his accounts of small town life there. He moved to New Orleans in 1999, initially writing for a weekly business publication. In 2001 he began writing a New Orleans restaurant column for the monthly music and culture magazine Offbeat. 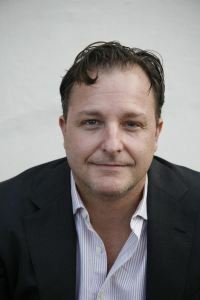 He took on restaurant coverage for the alt weekly Gambit in October 2005 from its first issue after Hurricane Katrina, chronicling the return and evolution of the restaurant industry and dining scene in New Orleans in the years that followed. 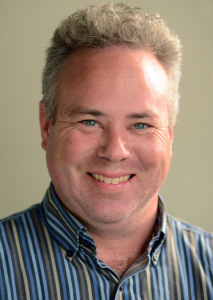 He joined the staff at the New Orleans Advocate in 2013. He lives with his wife Antonia Keller in the Mid-City neighborhood of New Orleans. William Ramsey is a principal at the Ramsey Law Firm, a law firm focusing in entertainment and transactional law. William negotiates and drafts agreements related to all areas of film production, television, music, and corporate affairs. His clients include film production companies, producers, writers, actors, artists, and musicians. William is also involved in many outreach organizations in New Orleans. Before attending law school, William worked in film and television production in Los Angeles. He holds a J.D. from Tulane Law School and an LL.M. from the University of Washington. As a native of Louisiana inspired by her passion of history and nature, Sara co-founded Kayak-iti-Yat in 2011, a kayak tour company. The company has been vital in continuing to preserve the history and culture of Bayou St John and its neighborhoods, encouraging the paddle revolution on the bayou, as well as bringing awareness and education around understanding our environmental dilemmas and how to be stewards of our natural resources and complex landscape. Through partnerships and collaborations with other local companies and non-profits, Kayak-iti-Yat has furthered those missions. The company has hosted numerous trash and invasive plant clean-ups, including assisting with the ongoing 2019 giant salvinia debacle in Bayou St John. In 2015, Kayak-iti-Yat began hosting morning clean-ups following Bayou Boogaloo festival days. Since then, Sara has spearheaded those efforts which have morphed into an Anti-Litter and Recycling campaign during the festival. Becker Rutledge is a proud New Orleanian who has worked for many years to help her community thrive. Born in Mississippi and raised in Uptown New Orleans, she has called Mid-City home for more than 35 years. She is a CPA who has served national and local clients for decades through first an international CPA company and for the last 30 plus years through her own firm. She has volunteered her time and professional skills to many organizations close to her heart. That includes the Mid-City Neighborhood Organization (MCNO), which she helped guide during the turning point years after Hurricane Katrina. As the treasurer of MCNO she assisted with the finances for first Bayou Boogaloo in 2006.